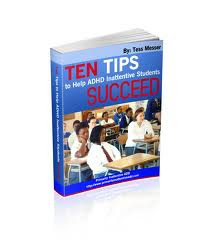 Most ADHD and ADD Children have problems in school but surprisingly, many do not have academic problems. Many ADD kids are able to, in their own disorganized and unique way, excel in the academics of the school environment. ADD children do well in schools that allow for a great deal of personal choice, such as Montessori schools, schools that allow for and encourage movement, such as Waldorf schools or schools that have a devotion to the creative curriculum approach such as Reggio-Emilia schools. These schools are ideal for kids with ADD. In these environments, ADD kids often excel academically. The problems that all ADHD kids have in school, the problems that school curriculums rarely address or even recognize, are social problems. Our Inattentive type ADHD kids tend to be introverted and/or socially immature, our Hyperactive/Impulsive ADHD kids tend to be aggressive and/or socially immature and the end result is that many ADHD kids find school difficult not because of the course work but because of the 'playground' or social work. I believe that all learning is emotional. Think back on the last time you really were excited about learning something. You either found something that you loved and that you wanted to learn more about, you found a contagious teacher that got you energized about something or you had a friend, family member or co-worker that was into something that you wanted to be a part of. I believe that if you are not emotionally involved in what you are learning, you cannot learn and if you are not socially comfortable, you will have difficulty attending to the academics of school. People learn best when they are engaged with people that they love. A child who dreads the social aspect of school cannot learn. I child who feels isolated at school, cannot learn. A child, who goes to a school where they feel no one knows or ‘gets’ them, cannot learn. Schools can help with these ADHD school social problems by encouraging and teaching social interaction skills, by having teachers take a leading role in getting to really know every child, and by encouraging friendships. A beloved teacher that takes a socially inept child under their wing is often the key that opens the door to a child's academic excellence. ADHD kids do not need many friends. Studies have proven that all that is required is one friend. One friend can make the difference between social isolation and having a sense that you ‘belong’. Just having one friend goes a very long way and sometimes parents need to help ADHD children find and develop that one friendship. Not all ADHD school problems are academic. Many ADHD kids excel at the academics of school but dread the social aspect of the school environment. Schools need to spend more time attending to the emotional and social aspects of learning and realize that the emotional life of teachers and students plays a critical role in the learning process. Parents can help by selecting schools that pay attention to emotions and social skills in the classroom and teachers and school counselors can help ADHD kids by recognizing that the social aspects of school are as important as the academics. Many ADHD school problems can be improved by acknowledging that before kids can learn, they must feel emotionally engaged and socially secure. I have included links to the Montessori, Reggio and Waldorf schools in case you are interested in finding a school in your area that teaches uses the approaches that I describe above. Quick note of the Waldorf School: The Waldorf schools sometimes have religious themes of some kind that are sort of Christian but they do not teach religion. You can find a school and more information at this Waldorf School website. Please support this site by sharing this post on Twitter or Facebook or by shopping at the Amazon Primarily Inattentive ADD Store. Thanks for your comments and emails. They help me know what you would like me to write more about and keep me looking for answers to questions that I do not know. I am fond of my readers and I learn more about ADD from you than I do from journals, medical books or conversations with my medical co-workers. Thank you! Well, that describes me! I was definitely introverted and socially immature. Add that to my mother having me skip me a grade (due to her belief I'd "mature" early like she did! ), and it made for some good times (not). I don't see that with my daughter, however, probably because she has always acted oblivious to social issues (and goes to a small, private elementary with very few "mean girls"). She has good friends, not seeming to make the social gaffes that I did regularly (I mean, who wants to hear how many big words you know? Or, that you're doing division earlier? Especially when the same kids know that you're playing soccer with the "babies"--due to age). Thanks for this post. My mom has mentioned that she wished that she'd sent me to Montessori, though to her credit, she thought the small private school she'd chose was going to be right. Your post reminded me of what it was like to be back in 4th grad. I am so glad your daughter has a mom that has enrolled her in a great school. Sometimes our hard times at school end up influencing us enough that we make sure that our kids have a better situation. Thanks for your comments, they make me smile. I have ADHD and personally I think for a disorder such as ADHD unless it is extreme that a child should go to a regular school. Because the socialization and social norms taught in school are nearly as important as the knowledge taught. I believe if in a case of mine where I tended to be anti-authortive and had many difficulties in school(not knowing I had adhd) if I had went to an alternative school it would have further ingrained into me the very innate part of which indvidualisitic and never taught me that an essential skill in growing of learning how to -adapt- to others. How you can interact with others without compromising yourself and a special bleeding heart school will supress this notion and almost virtually guarantees once that child enters mainstream society they will be rejected. Which would cause many problems like depression, isolation, failure, lack of a career, et cetra. I think that if your child has ADHD that it's very important to make sure they have an IEP!!!! 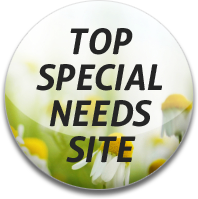 IEP grants you federal rights and ensures accommodations to that child. I myself am in college now and now that I am diagnosed I receive special accommodations that have greatly helped me. An IEP is absolutely important. You are so right!! This is really important. I hope to read more information about ADHD. Thank you for sharing this wonderful post. That was really great.